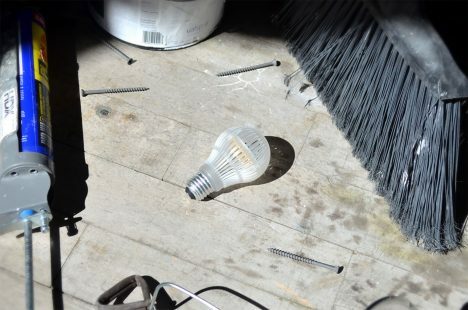 Throw it off the top of a building or down some stairs, or carry it in a bag without padding, and the Durabulb will take the licking keep on ticking (or lighting, as it were). The lightweight LED uses 80% less energy than conventional bulbs and its rugged design means it also requires a lot less packaging, saving on space and materials for shipping that would wind up in a landfill. The flexible, shatter-proof design is thanks to a bouncy polycarbonate plastic shell. It was tested by throwing it 100 feet and attempting to smash it with a tennis racket. It was also mailed without a box through the US postal service and worked on the other end. 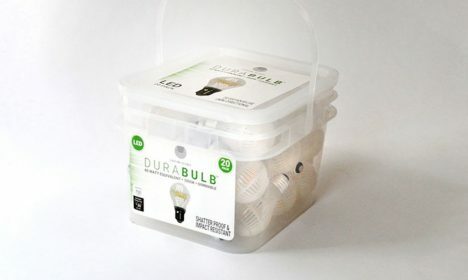 The bulbs can last up to 10,000 hours. See more in Home & Personal or under Gadgets. December, 2016.